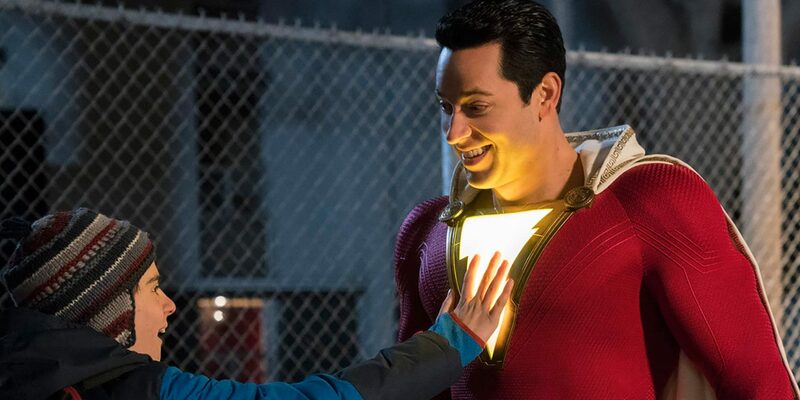 Review: Shazam is the superhero the world has been waiting for! Shazam! 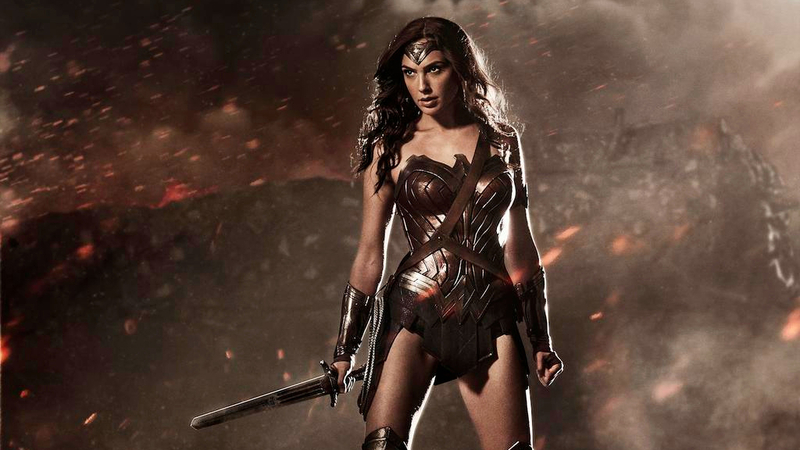 is a superhero origin story that will remind audiences what it was like to discover superheroes for the first time. 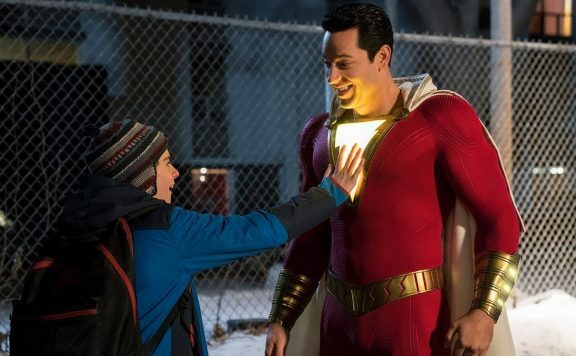 Billy Batson (Asher Angel) is a fourteen-year-old foster child that has bounced around from foster home to foster home ever since his mother abandoned him at Holiday Park when he was a little boy. One afternoon while trying to track down his mother’s whereabouts, Billy boards a subway train that unexpectedly transports him into another realm. 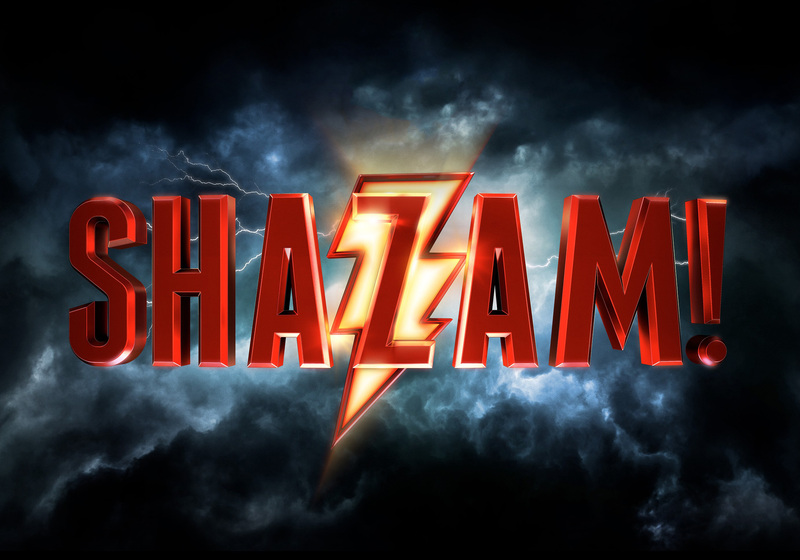 It is in this realm where Billy meets The Wizard (Djimon Hounsou) who informs him that he is “the chosen one.” By uttering the word “Shazam,” he will turn into an adult superhero. Unsure of what to make of his new powers, Billy turns to his foster brother Freddy (Jack Dylan Grazer) as they discover Billy’s new powers and how they can be used to stop Dr. Thaddeus Sivana and the 7 deadly sins from wreaking havoc on the world. With so many superhero films being released each year, it has become increasingly challenging to make these films stand out from one another. Marvel has found a winning formula. While they have started to mix it up a bit recently with Black Panther and Captain Marvel, the majority of their films have a natural flow because they have discovered a formula that works. The films in the DCEU have often been met with a lot more criticism than the majority of Marvel films which I have always found to be incredibly unfair. In each of these two comic book movie universes, there have been good films and bad ones. For example, I think Iron Man 2 is just as bad as Suicide Squad. That being said, what I like about the DCEU is that each one of their films has a different look and feel. While audience reactions were split on Man of Steel and Batman v. Superman, there is no denying that those films were made by Zack Snyder. Just like there is no denying that James Wan made Aquaman. I bring this up because Shazam! continues that same trend. Shazam! is very much a David F. Sandberg film. If you have followed his career so far, you can see his fingerprints all over this film. Shazam! is only the third feature film from David F. Sandberg, but proves once again that he is a remarkable filmmaker on the rise. After films like Lights Out and Annabelle: Creation, Sandberg has seamlessly made the jump from mid-range horror to big budget blockbuster. Sandberg incorporates elements of horror into this film which gives it a very unique feel. There are certain scenes that are dark. Others are very colorful and bright. I found this shift in tone refreshing, because it felt very reminiscent of a horror comedy where you have creepy moments followed by scenes of filled with humor. This was particularly great to see in a superhero film because it is one of the many things that make this film stand out from the rest. As someone who grew up in a home with foster children, I cannot tell you how much I appreciated the way that Sandberg and writer Henry Gayden presented the story and handled being part of a foster family. The Vasquez’s aren’t shown as perfect. Rather, they’re a loving couple who are looking to do good. The way that the five children interacted with one another felt very natural. It never felt like the story was trying to force a message of feeling bad for these children because they are in a foster home. It sort of just embraced that aspect of their lives and didn’t try to make it overly sappy or emotional. The casting in the film is all around terrific from Zachary Levi as grown-up Billy Batson to Faithe Herman as the younger Darla Dudley. As I and many others have stated, Levi was born to play this role. The character is almost tailor-made for him because as Billy, he is so charming and likable. I find it somewhat shocking that Levi has never been cast as the lead in a film before Shazam! He has such a natural on-screen presence that really pulls the audience in. Jack Dylan Grazer (It) as Freddy was my favorite of all the characters because he was just a regular teenager that was obsessed with pop culture. I loved that most of his scenes were with Billy because the two of them played off one another so flawlessly regardless of whether it was 14-year-old Billy (Angel) or grown-up Billy (Levi). The scenes where the two of them make YouTube videos showing off Billy’s powers not only felt like something teenagers would actually do but it poked fun at a lot of the scenes in other superhero films where the superheroes discover their powers for the first time. Other members of Billy’s foster care family which include Ian Chen as Eugene, Faithe Herman as Darla, Grace Fulton as Mary, and Jovan Armand as Pedro. It is important to put these characters out because while the majority of the film is centered around Billy and Freddy, these four characters play a major role in the film’s final act. Sadly, I cannot talk too much about this without spoiling things. However, I will say that I loved how this unlikely family came together without having a whole lot of build up. Mark Strong plays Dr. Thaddeus Sivana, the film’s villain. Sivana has a solid backstory and one that plays into the central theme of the film which revolves around family. 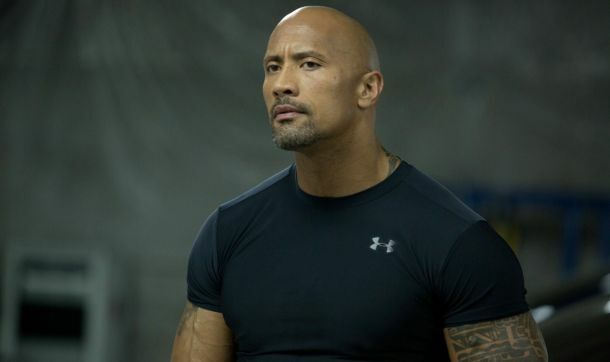 If you know Strong’s work as an actor, you are probably well aware that he is no stranger to playing the bad guy. I really liked seeing Strong play a menacing madman who wants nothing more than to steal the powers of Shazam from Billy. I feel like this character could have easily been a throwaway villain but Strong made sure that wasn’t going to be the case. For those who were worried that Shazam! would lack action, don’t worry there are plenty of action-filled moments. I feel like too many superhero films nowadays rely on action scenes to carry and sell the film. The action scenes here are spaced out and feel earned. There is also a nice array of action scenes that range from being epic to humorous. While I did love Shazam!, I do have to point out that the CGI can be a bit shoddy in spots. I don’t blame Sandberg for this, but rather the fact that the film’s budget is a lot smaller than your average superhero film. While I don’t know the exact reason why the film didn’t get as large of a budget as say something like Man of Steel or Aquaman, my guess is that neither the film’s title character or its cast is that well known. It also should be stated that the film is being released under New Line Cinema, which is a subsidiary of Warner Brothers. 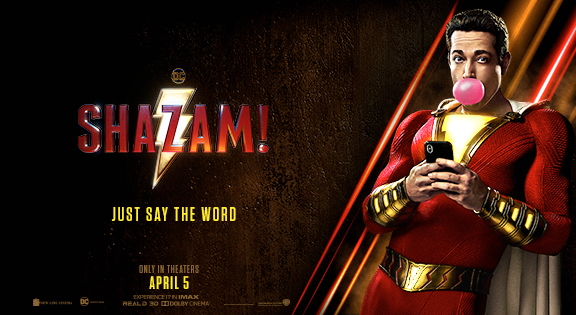 Ridiculously entertaining and non-stop fun from beginning to end, Shazam! is the reason why you go to the movies. Shazam! is a great origin story that is filled with likable characters and plenty of heart. 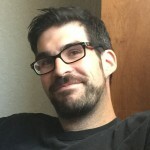 If you are a fan of Sandberg’s previous work, be sure to pay close attention as there are some easter eggs to his previous projects. Shazam! 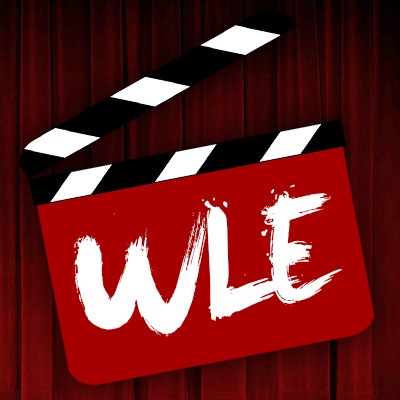 is awesome and is bound to become a fan favorite for superhero fans of all ages. 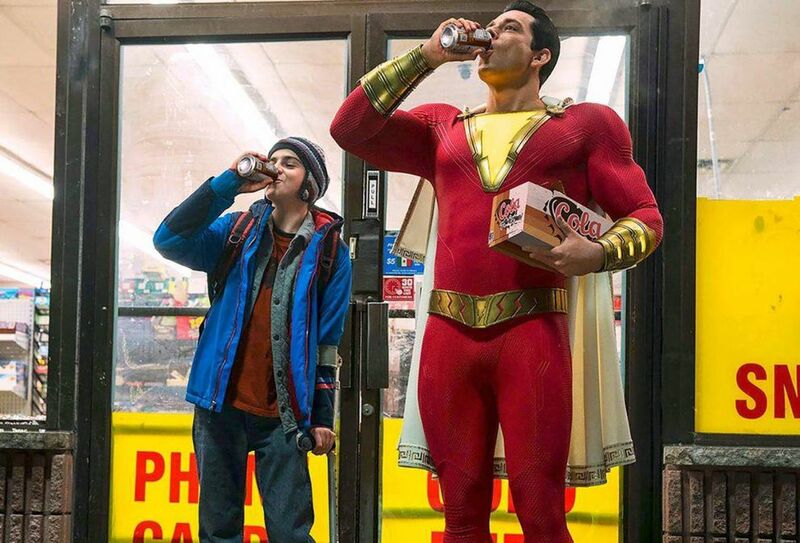 Scott ‘Movie Man’ Menzel’s rating for Shazam! is a 9 out of 10.